New Grateful Dead design. This patch has the familiar Stealie with vines all around. It measures approximately 3 1/2" round. 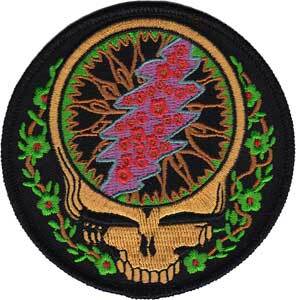 This embroidered Steal Your Face patch can be ironed on or sewn on. Officially licensed Grateful Dead merchandise.